Today, on the 19th of September 2017 was the day when the Estonian Bar Association issued an advocate`s certificate to our employee Jaanus Stern. Jaanus Stern is an advocate specializing mainly on real estate, planning and construction under his named patron, one of the partners of our law-firm, sworn advocate Ain Alvin. Jaanus Stern has also extensive experience with consulting various issues in the fields of contractual and business related problems. 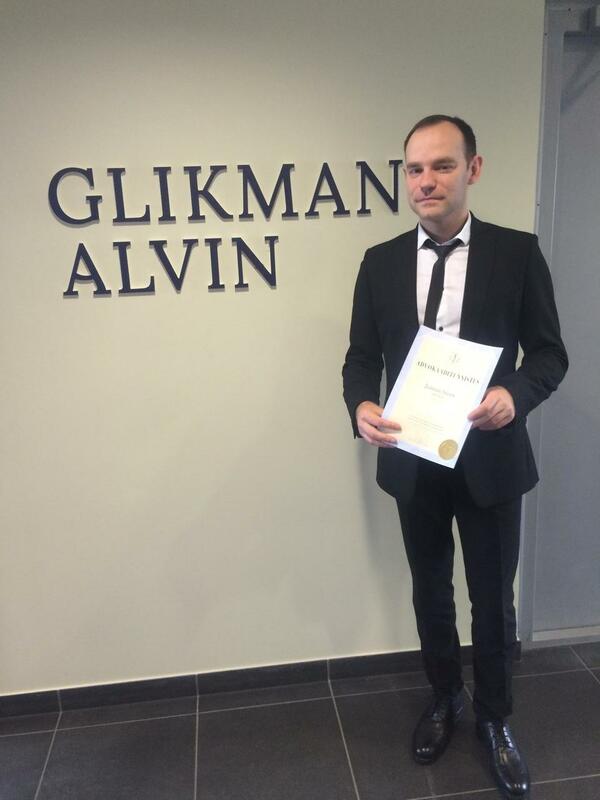 Warmest greetings to Jaanus Stern on behalf of law-firm Glikman Alvin, we wish him a lot of success in his work as an advocate!